It used to take her weeks, now it is often only a couple of sets. The saying “you can’t teach an old dog new tricks” is not true. But let’s be honest: a young dog learns things faster than an old dog. Some of that slowdown is biological as there are certain ages at which our brains are primed and optimally suited for learning. But a lot of it comes from no longer asking our brains to learn new things. 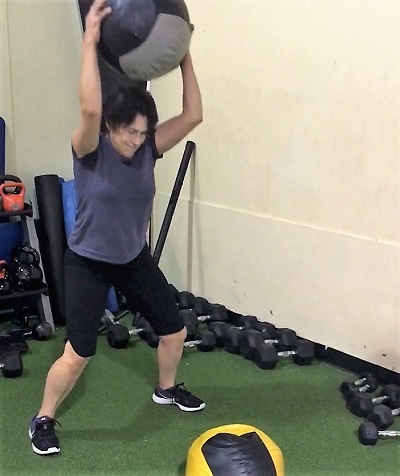 There is someone who has been coming to the Funtensity workouts when they first started 4 years ago – she is affectionately called “grandma badass” – who has shown a dramatic increase in learning speed. See her demonstrate a new Funtensity exercise that she mastered by her 2nd set. Four years ago, it would often take her several weeks of Funtensity workouts to learn a new movement. This increase in learning speed is also great news for her long-term brain health. 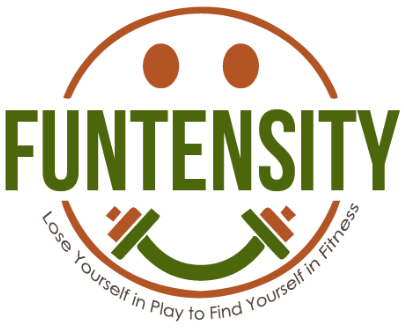 A foundational concept in Funtensity is that you use reactivity in all exercises. “Reactivity” is taking information in through your senses and producing an appropriate physical response. Using reactivity in physical activity greatly increases the brain benefits of exercise. At this time there are no “proven” exercise programs for the brain, but the studies suggest that any activity that stimulates the brain may help to delay or prevent dementia: counting steps or bouncing a tennis ball when you walk, any activity, movement or game that requires thinking. Even better is the combination of thinking and moving. It’s the difference between running on a road – or even better a trail – compared to a treadmill. The latter takes little thought where your feet land while a more variable and unpredictable surface requires more thought and decision-making. We all need to move more, but the specific type of movements we do on an hour-to-hour basis matter very much.